A wide range of training drills can help you develop upper-body strength. 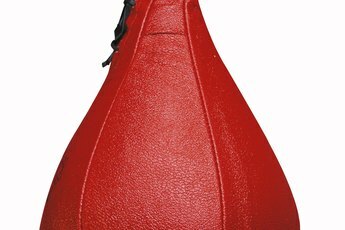 Talk with 20 boxing trainers and you'll likely get close to 20 contrasting ideas of how a boxer should prepare for competition. Some trainers favor a workout light in conditioning and heavy in boxing-specific drills, while others believe in the opposite philosophy. 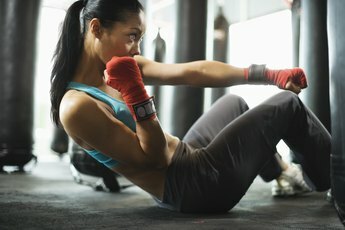 You might, however, be able to get most trainers to agree that when it comes time for a boxer to strengthen her upper body, push-ups are just one exercise to include in an overall training routine. The conditioning workout you adopt as a boxer depends on such variables as your body type and style in the ring. If you compete in the sport's lower weight classes and rely on speed to beat your opponents, your trainer will likely develop a workout plan light on strength training, for example. A slower boxer who needs to rely on punching power will often spend more time strength training to increase her upper-body strength. Although the push-up is just one way a boxer will strengthen her body for competition, this simple bodyweight exercise is effective. Push-ups strengthen your chest, shoulders, arm and even your core muscles. Strength in each of these muscle groups is integral to punching power. 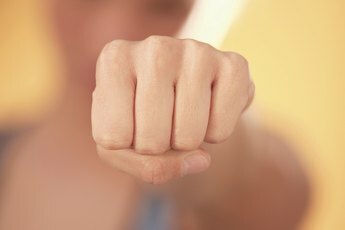 During the execution of a punch, you'll contract your abs and use your chest, shoulders and arm muscles to throw the punch and quickly return to your guard position. In addition to push-ups, boxers can use a vast array of conditioning exercises to strengthen the muscle groups in their upper body. 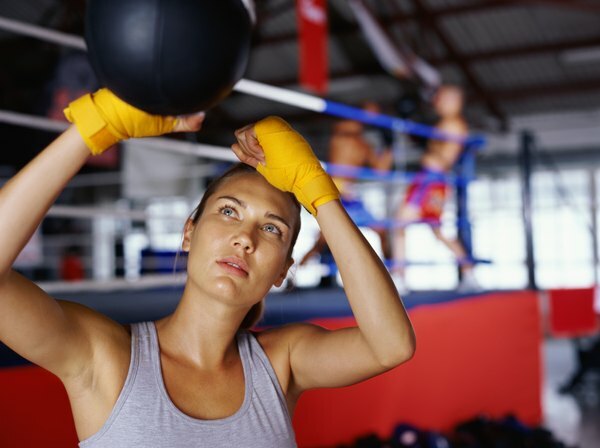 Fighters often train with a medicine ball, performing slams and throws with a partner, to strengthen their chest, delts and other upper-body muscles. Weight-training exercises, including dumbbell rows and military presses, are also effective at strengthening upper-body muscles, such as your back and delts. Bodyweight exercises that increase upper-body strength include pull-ups and dips. A fighter shouldn't discount the pivotal role a standard boxing workout plays in improving her upper-body strength. Hitting the heavy bag, speed bag and double-end bag all require the use of several upper-body muscles, and over time, these workout mainstays can strengthen your upper body. Focused pad drills and sparring sessions also strengthen your upper body, as does jumping rope, which is part of a standard boxing warm-up. To create more resistance -- and build muscle faster -- many boxers use jump ropes with weighted handles. What Is a Female Tennis Player Workout? 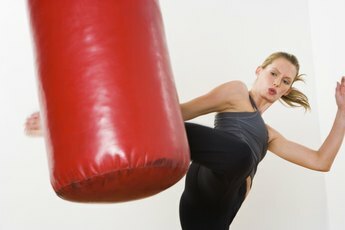 Is It Better to Lift Weights Before Boxing Training?